The Nissan GT-R with a HKS GT600 package. 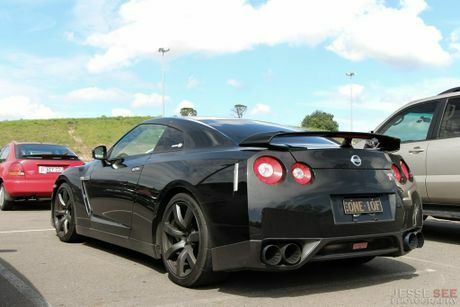 THIS 2010 Nissan GT-R HKS GT600 was spotted at Eastern Creek Raceway in Sydney. As you may have guessed, this is no ordinary Nissan GT-R. It features the GT600 package from HKS, which is a bolt-on kit designed to allow the engine to achieve 447 kilowatts (600 horsepower) and 773 Newton metres of torque (570 pound-feet of torque). The standard engine is a 3.8-litre, 24-valve V6 with two turbochargers strapped onto the front. Without the HKS upgrade, the engine can produce 362 kilowatts (485 horsepower) at 6400rpm and 588 Newton metres of torque (434 pound-feet of torque) at 3200rpm. Mated to the engine is a stock six-speed double-clutch automated manual transmission that sends all the power to all-four wheels. This particular model also has a kerb weight of 1773 kilograms (3908 pounds). This allows the Nissan GT-R HKS GT600 to launch from 0-100 kilometres per hour in just three seconds, and it will keep accelerating all the way up until it hits its top speed of 311 kilometres per hour (193 miles per hour). This is the same top speed of the standard GTR, but it launches from 0-100 kilometres per hour half a second faster. To get 447 kilowatts and 773 Newton metres of torque out of the engine, HKS added racing extension and centre pipes, an intercooler pipe kit, a pre-programmed ECU, a pressure release computer, a Super SQV blow-off valve kit, reinforced actuators, Super Fire Racing spark plugs, a premium suction kit, two fuel pumps, a fuel pressure regulator, HKS Superior Finisher and also a HKS Legamax Premium catback exhaust system. 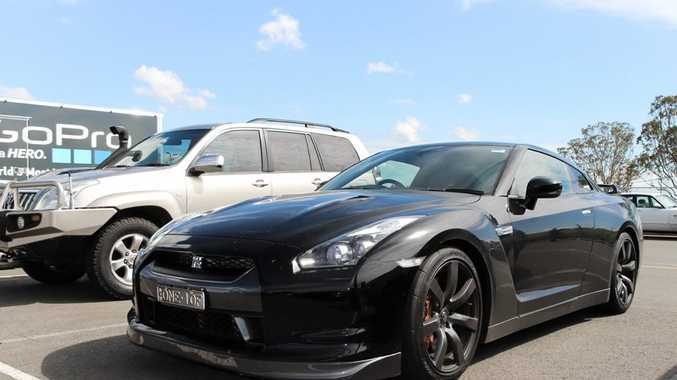 Some standard features that this particular Nissan GT-R is equipped with includes variable intermittent wipers, 20-inch seven-spoke alloy wheels wrapped in performance tyres, double-wishbone front suspension and multi-link rear suspension, a front and rear stabilizer bar, four-wheel ABS as well as traction and stability control, Xenon headlights, electronic brake force distribution and emergency braking assist, a leather and alcantara interior with front sport seats, dual-zone climate controls for the driver and passenger, a navigation system and much more. You can currently buy a 2010 Nissan GT-R for about $115,000 and you can get the bolt-on HKS GT600 package for around $15,000. The Nissan GTR with a HKS GT600 package.